Why are worn down teeth a problem for people? 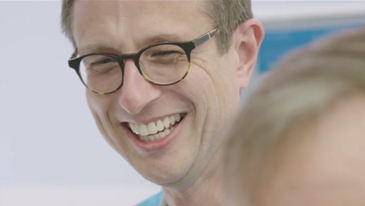 Why are worn down teeth a problem for dentists? It can be difficult to replace the lost tooth tissue in a reliable and natural looking way. How Do You Treat Worn Down Teeth? Treatment is focused on preventing any further tooth loss. If you are aware of any risk factors you should try and limit your frequency of exposure to these such as fizzy drinks or acidic fruits and juices. The use of a fluoride mouthwash daily will strengthen your teeth against wear. In some people who grind their teeth an appliance is made which fits over and protects the teeth. 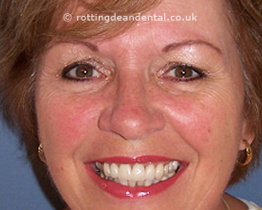 We use an option where we bond tooth coloured resin to the worn teeth to protect and restore them. This technique has been successfully used for almost 40 years. The great advantage is that it is a much less destructive treatment option as there is little or no preparation to the teeth. 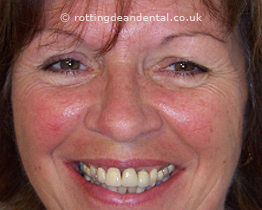 It is possible to build the teeth up with a tooth coloured plastic filling material that is bonded to the tooth. Initially the teeth will feel high in the bite and your back teeth will not be in contact. It usually takes 1-2 weeks to get used to the new bite. It is unusual for patients to experience pain during treatment, however the bite may feel uncomfortable initially. Most adapt very quickly and find it comfortable. Your back teeth will come back into contact over a period of 4-6 months, however in some patients this can take up to 1 year. In very few patients (2-4%) the back teeth fail to come into contact. If this occurs it may not concern you so no further treatment is necessary. In some patients we may add material to the back teeth as well.